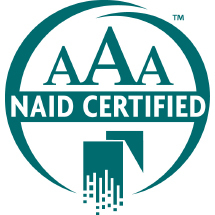 The NAID AAA Certification® Program is a voluntary program for NAID® member companies providing information destruction services. Through the program, NAID members will receive announced and unannounced audits to ensure they are consistently complying with all necessary deliverables. This certification meets the clients’ regulatory due diligence on their behalf. The NAID Certified Secure Destruction Specialist® (CSDS®) Accreditation Program promotes and acknowledges an individual’s competency in a range of subject areas related to the secure destruction of information and the secure destruction of other items. It is separate and distinct from the NAID AAA Certification Program, which verifies and acknowledges the ongoing compliance of an organization’s secure destruction services with established security and operational standards, whereas this applies to an individual. 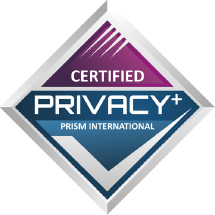 Privacy+ Certification™ is a prestigious international certification program offered by PRISM International™ that allows records and information management companies to demonstrate a commitment to ensuring the privacy of information. The Privacy+ certification is voluntary for companies that handle physical storage, hard-copy records, and offline removable computer media. It shows that suppliers have sufficient support in areas such as organization and management, information security policies, risk assessment, human resources, vendor management, physical access control, environmental controls, logical access controls, network security, and electronic access to client information.